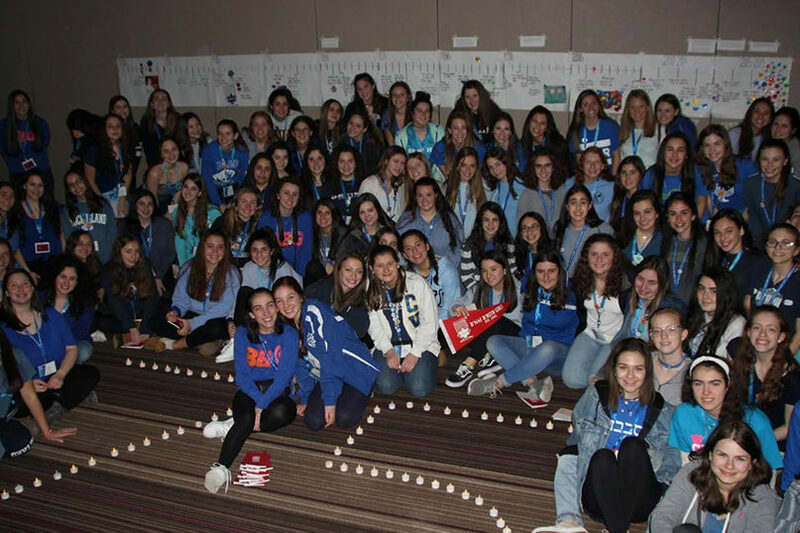 Over the weekend of Jan. 25, 220 Jewish teens came together for BBYO Connecticut Valley Region Winter Kallah. Winter Kallah serves as the spiritual centerpiece of BBYO programming and focuses on finding a personal connection to Judaism. The weekend – the theme of which was “Find Yourself Here” – was highlighted by a host of celebratory programs and activities. On Friday night events included: a celebration of BBYO Connecticut Valley’s 80th year; a Kabbalat Shabbat service in which teens engaged in dialogue about the Jewish response to hunger with partners from MAZON; and commemorating 75 years of B’nai B’rith Girls with a focus on Jewish women. The night closed with all 220 teens coming together to recite the Shema as a community. Three teens celebrated their b’nai mitzvah in BBYO Connecticut Valley Region’s B’nai Mitzvah class. 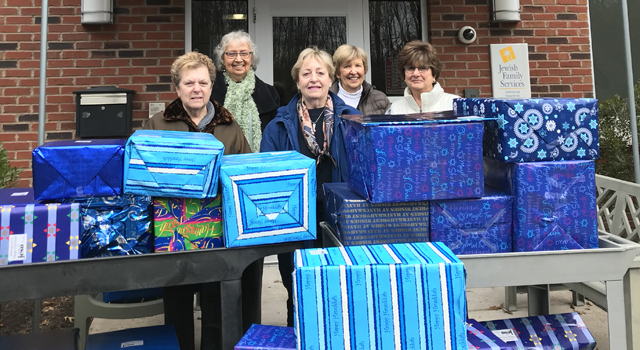 Saturday morning services, sponsored in part by the Federation of Western CT, welcomed an additional 100 parents and community members at the annual Community Shabbat. Jewish acapella group Six13 and song leaders Eric Hunker and Happie Hoffman helped set the tone for a morning of spiritual connection. 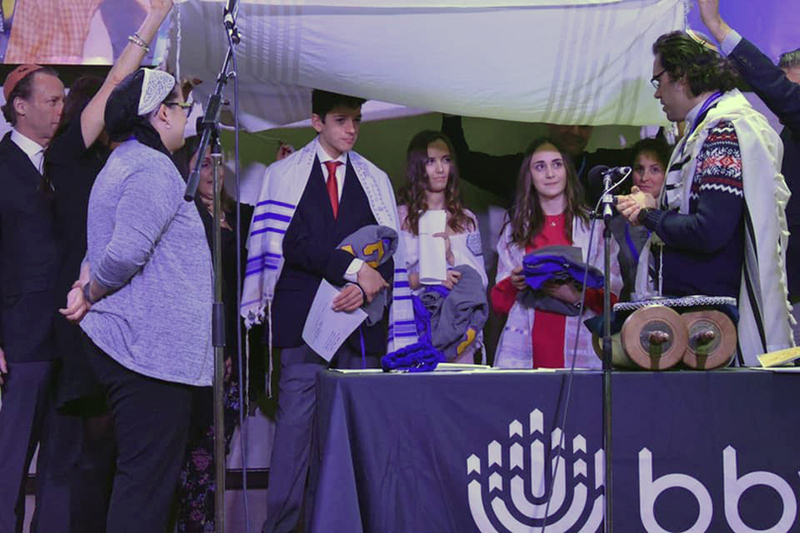 Three BBYO teens – Leah Jackson from West Hartford, Liam Feltman from Fairfield, and Saunder Saffran from Woodbridge – took the next step in their Jewish journey by marking their b’nai mitzvah, with help from Greenwich BBYO advisors, Rabbi Chaya Bender and rabbinical student Kevin Peters. The service also paid tribute to the 26 individuals who perished in Sandy Hook and honored Stamford BBYO teen Evan Hyman, who passed away in 2016. Over the course of the weekend, teens also had the opportunity to attend the “Find Yourself Here” speaker series; make hummus with Yalla Organic owner Ronen Yur; connect with the spirituality of music and prayer with Woodbridge Yurt owner Richard Gans; take Krav Maga defense classes; and gain leadership skills from BBYO International N’siah Noga Hurwitz. The evening culminated with Havdallah and the Connecticut Valley Region’s 80th anniversary celebration. Next up for BBYO teens: a night of live music, food, and fun on March 2. For information, contact Tyler Pepe at tpepe@bbyo.org. Jennifer Kruzansky is associate regional director of BBYO Connecticut Valley Region. CAP: BBYO Connecticut Valley Region girls celebrated the 75th anniversary of BBG (B’nai B’rith Girls).